The combination of black and white creates a classic, timeless look that is also modern and dramatic. There is a crispness to each that can create a contrast when one outlines the profile of the other. The silhouettes are beautiful and inspiring. 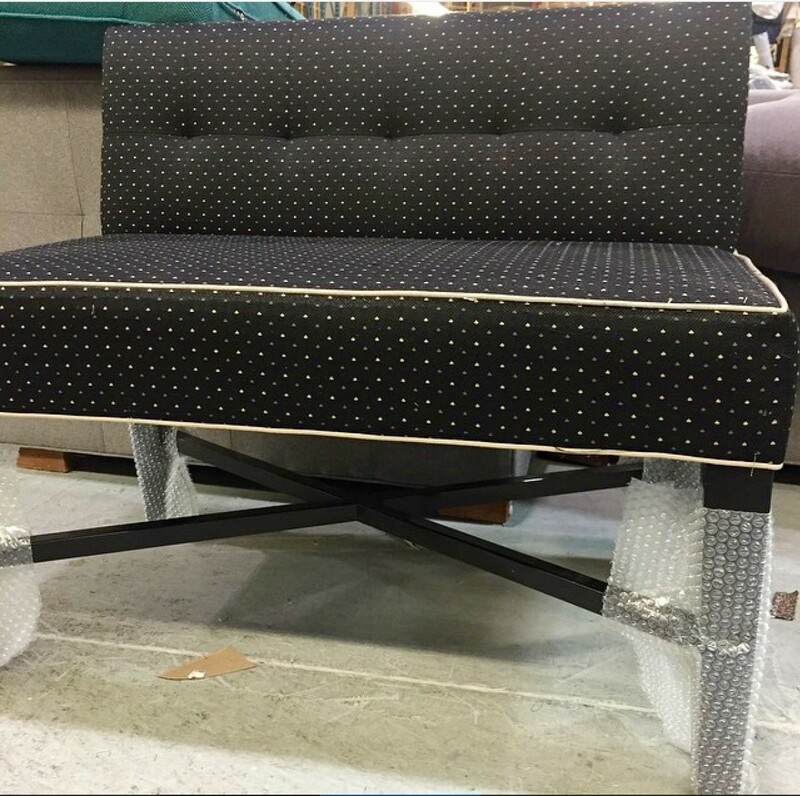 A smaller banquette with a modern tufted back and contrasting welt, and the further detail of cross rails on the wood base, very beautifully executed. 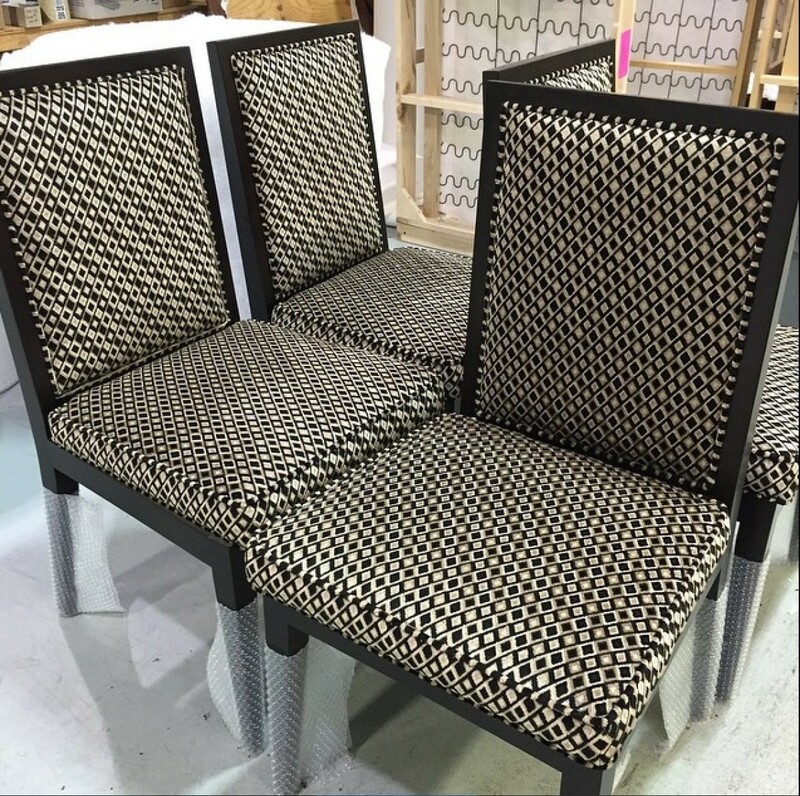 The geometric pattern is enhanced by the contrast of black and white on these dining chairs. 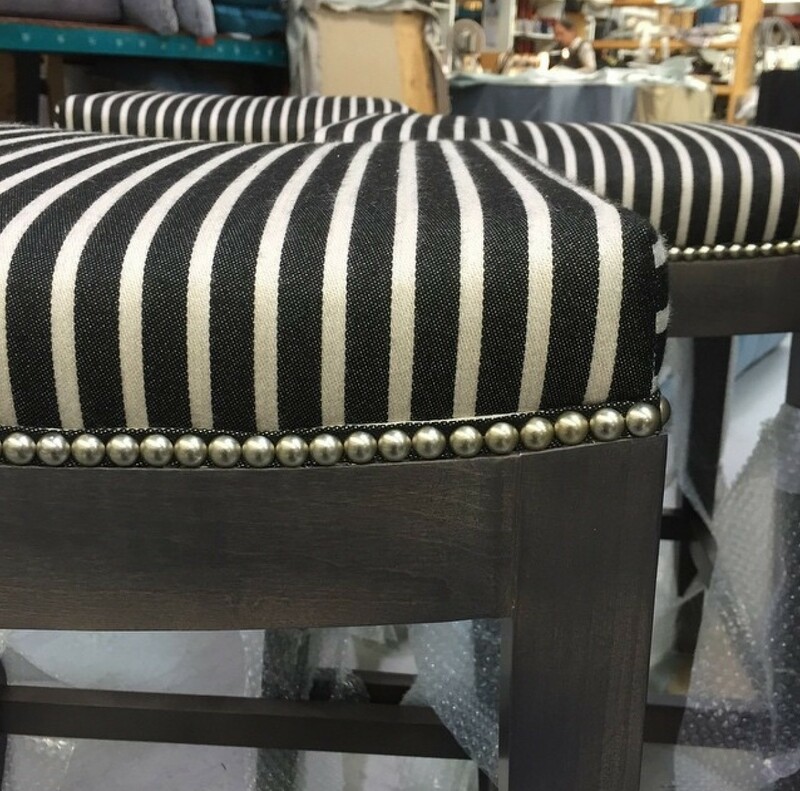 Classic black and white stripe, finished with a brushed nickel nailhead on bar stools, creates a definite statement. 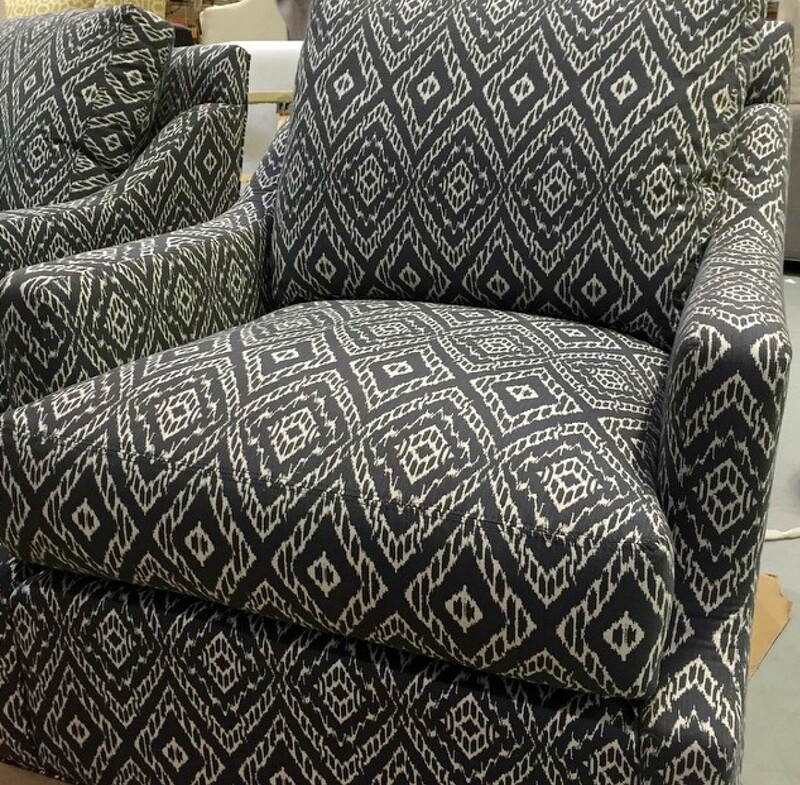 A diamond patterned black and white motif, seems almost tribal. Incredibly matched at the seams. There is always a debate as to the answer of that question, one is the absence of colour, black, and the other is light, white. They are effective either way and offer great design in innumerable ways.